Beautiful, Responsive Widgets Coming Your Way. Join thousands of publishers who already trust Native Ads to power their websites and earn revenue using unique native advertising widgets. Every publisher faces the challenge of balancing profitability with user experience. This is where display advertising falls short. Adding more blinding banners may make a site more profitable at the expense of user experience. Create widgets to match the form and function of your website for a truly native experience. Log in, find what you need, and get back to important stuff, like making your website awesome. Detailed reports help you keep track of widget performance and earnings reports. Need help taking your website to the next level? We are standing by ready to help you succeed. 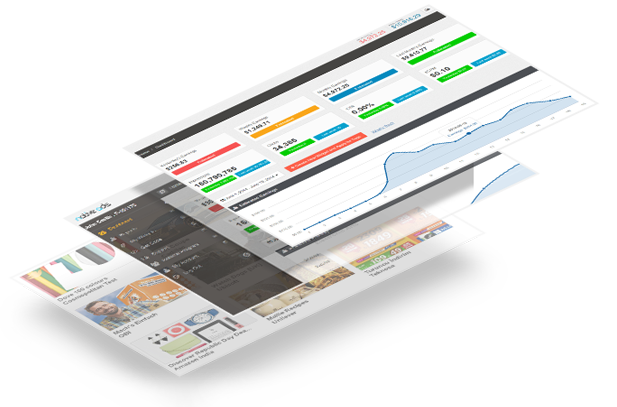 Widgets come in most IAB standard sizes as well as custom units to match multiple website styles. Powerful, yet simple widgets displaying sponsored story advertising. "We've tested close to 30 ad networks on our website. 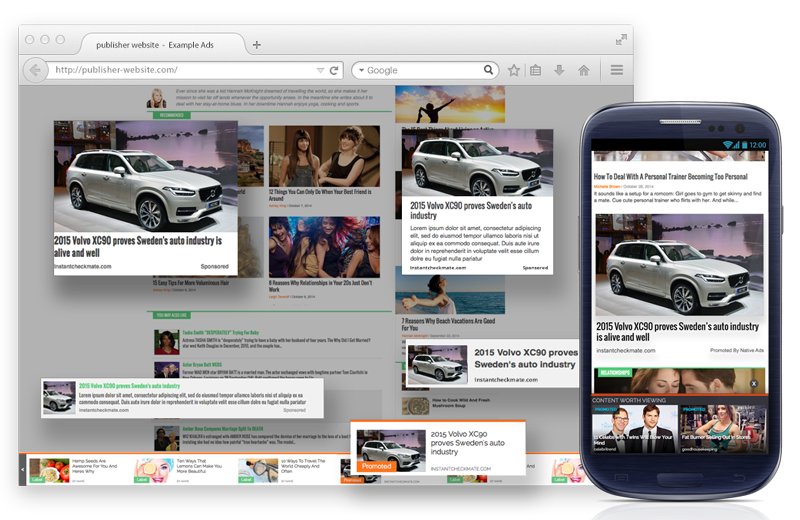 Native Ads outperform every competitor we've tested"